The TRC came about because of the Indian Residential Schools Settlement Agreement. 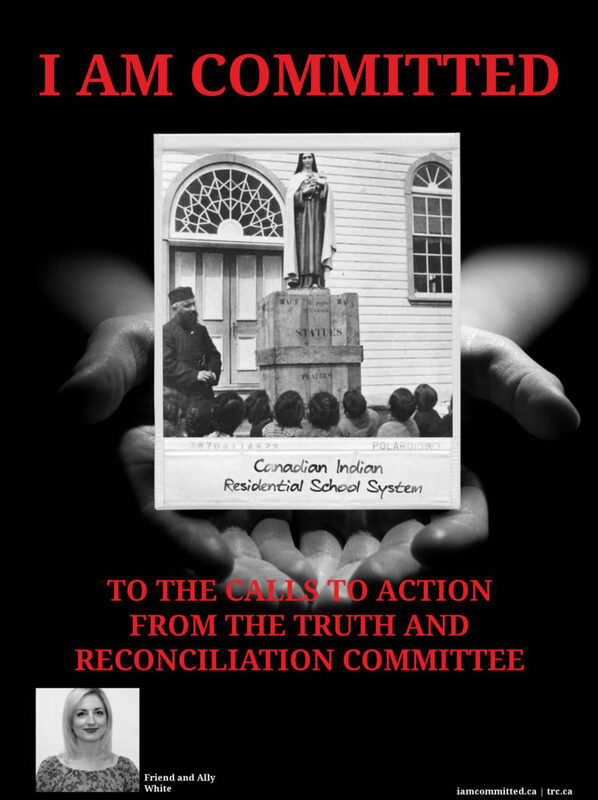 It had a five year mandate to document the experiences of residential school survivors and their families, what Commission Chair, Justice Murray Sinclair described as “one of the darkest, most troubling chapters in our collective history”. In December 2015 the TRC issued its Final Report, a six-volume document that captures the genocide that Indigenous peoples endured in Canada since the first European settlers arrived on Turtle Island (North America). The Report contains 94 Calls to Action, recommendations to guide reconciliation efforts across Canada. Residential schools for Indigenous people in Canada date back to 1867. Over 130 residential schools were located across the country, and the last school closed in 1996. These government-funded, church-run schools were set up to eliminate parental involvement in the intellectual, cultural, and spiritual development of Indigenous children. The closing of residential schools did not bring survivors’ story to an end. The legacy of the schools continues to this day. It is reflected in the significant educational, income, and health disparities between Indigenous people and other Canadians—disparities that condemn many Indigenous people to shorter, poorer, and more troubled lives. The legacy is also reflected in the intense racism some people harbour against Indigenous people and the systemic discrimination Indigenous people regularly experience in Canada. Over a century of cultural genocide has left most Indigenous languages on the verge of extinction. The disproportionate apprehension of Indigenous children by child welfare agencies and the disproportionate imprisonment and victimization of Indigenous people are all part of the legacy of the way that children were treated in residential schools. Many students were permanently damaged by residential schools. Separated from their parents, they grew up knowing neither respect nor affection. A school system that mocked and suppressed their families’ cultures and traditions destroyed their sense of self-worth. Poorly trained teachers working with an irrelevant curriculum left students feeling branded as failures. Children who had been bullied and abused carried a burden of shame and anger for the rest of their lives. Overwhelmed by this legacy, many succumbed to despair and depression. Countless lives were lost to alcohol and drugs. Families were destroyed, children were displaced by the child welfare system. The I AM AFFECTED poster campaign was released on June 1st, 2016, the first day of Aboriginal Awareness Month. 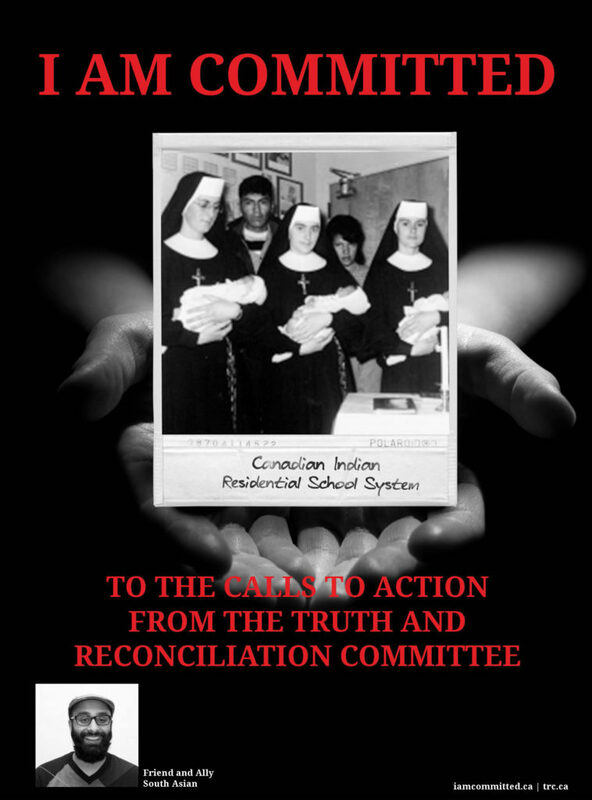 The poster campaign was designed to serve as an educational tool to create an awareness of Canada’s Indian Residential Schools as well as the historical and intergenerational trauma caused by the schools. Each poster shows the face of an Indigenous person, identifying their Indigenous Nation and that they are an intergenerational residential school survivor. It was designed to initiate and sustain conversation about the schools and the legacy of trauma. The I AM AFFECTED poster campaign provides a safe space for Indigenous people to speak their truth, share their stories and to break the silence of the trauma caused by Canadian Indian Residential Schools. For hundreds of years, the voices of Canada’s Indigenous people have been silenced. The poster campaign was designed to afford Indigenous people an opportunity to look seriously at how both historical and intergenerational trauma affects members of Indigenous communities. There is a need to understand how this trauma manifests itself daily so that individuals can heal and move forward. ~ The Honourable Murray Sinclair. Reconciliation in a broad sense refers to the relationship between Indigenous Peoples and Canada, but each of us must consider what it means for us as an individual and how we can work together to speak the truth and forge respectful relationships. Those impacted by intergenerational trauma must go through a process of understanding how they have been affected by the residential school system. This can begin a healing journey. Non-Indigenous peoples must individually consider what reconciliation means to them on a personal level and how they can support the healing process. The process of decolonizing is an arduous journey that requires in-depth reflections to reverse an ingrained mind-set. The I AM COMMITTED poster campaign acknowledges that reconciliation is a collaborative journey for non-Indigenous and Indigenous people in this country. As stated by the Commissioners for the TRC Report, we must work together and speak the truth, because at its heart, reconciliation is about forming respect. We need to change how we think and talk about each other. The 94 Calls to Action provide an opportunity to embrace a second chance at establishing relationships of equals. Indigenous people in Canada have many true and sincere friends and allies. We need to walk side by side with an open and good mind, an open and good heart and a humble spirit. We need to move forward with good intentions and walk together towards a better future. The I AM COMMITTED poster campaign provides a safe space for the non-Indigenous friends and allies of Canada’s Indigenous People to publicly commit to taking this journey of reconciliation together. It provides a vehicle to share in the hope that true and honest reconciliation is possible if we work together. It is a mechanism for learning, engagement and healing, and to motivate positive action to contribute to building an inclusive society. The poster campaign also serves as a vehicle for Indigenous people to publicly commit to working at true and honest reconciliation in Canada.